Awhile ago, I got deeply into Desktop Tower Defense – you may remember all my posts on that game. 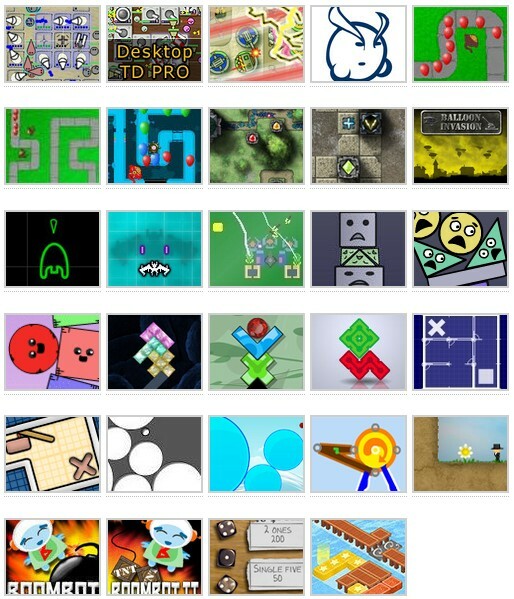 Turns out that Kongregate has some other great online games too. Some puzzle games that are fun are Open Doors 1 and 2, Wooden Path, and Boombot 1 and 2, and 99 Bricks.